Grey's Anatomy and Station 19 are set for a dramatic crossover this season. 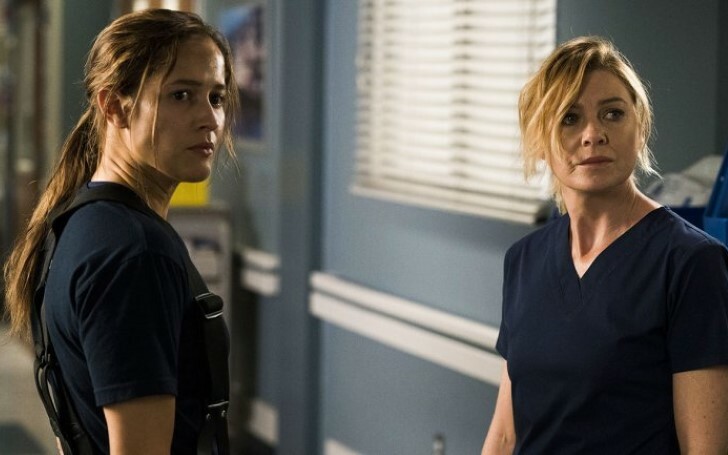 Station 19's Danielle Savre confirmed the show is going to have a dramatic crossover with ABC's medical drama series Grey's Anatomy before the end of the season. The on-screen Maya Bishop revealed the upcoming episodes will be "huge" and emotionally engaging. She added, fans are definitely gonna love the crossover. "It will affect every single person on the show. It's going to be huge. People are going to cry a lot. We all cried while filming it. It's going to be a rough, rough couple of episodes to watch." Although Danielle refused to spill the beans when it comes to which of the characters will be starring at the crossover, she did confirm Maya will certainly play some part. "Maya will be a part of it. I'm not the center of it. Another female cast member is at the center of it, but so is another male cast member." The actress continued, "It's going to be good. It's so good. It's going to be very dramatic, and if people aren't crying, I'm going to think that there's something wrong with them because it's so emotionally going to pull at people's heartstrings. People will love it, that's all I can say." Savre further expressed her optimism about ABC renewing Station 19 for the third season. She shared, "It's hard to think that we wouldn't go on and on and on because of the relationships that we have with each other, which is so rare, and the reception of the show that we have." Danielle continued, "It's this weird kind of thing where you feel in your gut and your heart that it has to [be renewed] because it just works so well. It's a well-oiled machine. I hope it does. "I can try to analyze all the ratings and numbers, but at the end of the day, I don't make those decisions. It's way above my pay grade. The fans love our show and are so passionate about watching it that I think they'd be silly not to [renew] but I don't get to make that decision. "Fingers crossed. We'll know by mid-May!" Station 19 airs on Sky Witness and ABC in the UK and the US, respectively.